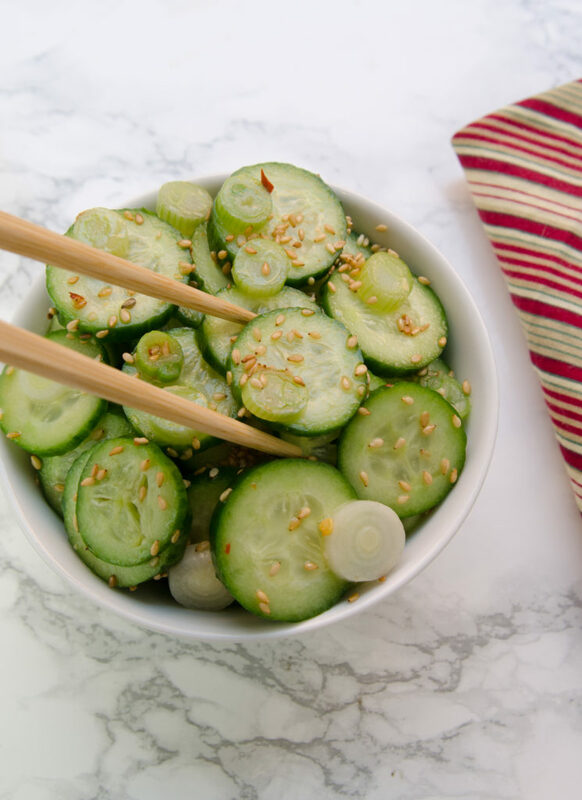 Sesame cucumber salad is a cool crisp salad that can be whipped up in 10 minutes or less. Wow, the past month has been a total whirlwind. First I was in grind mode, then vacation mode and then jet lag mode. In all my years of traveling, I’ve never had such crippling jet lag than after returning from our Ireland trip. It took me over a week to get my body back to normal and my sleep back on CST. I’m finally feeling 100% and it’s great having the ability to stay awake past 8 pm!!! Needless to say, I’ve been 100% into easy healthy recipes. 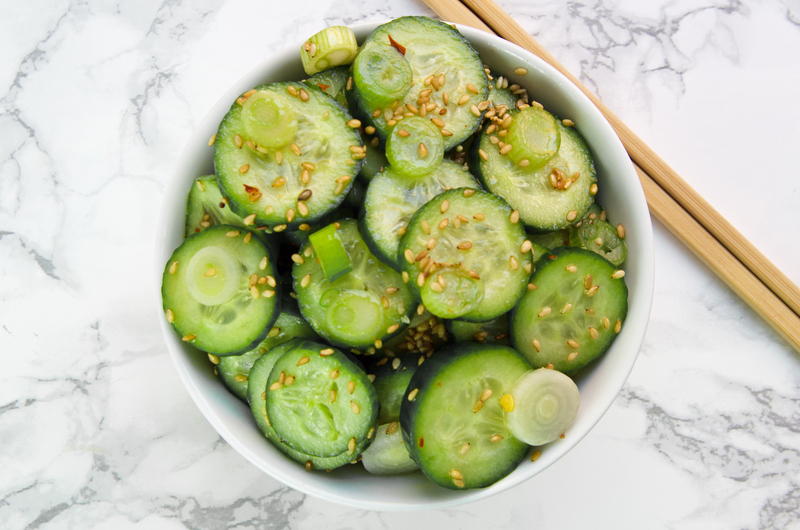 This sesame cucumber salad recipe hits the mark! 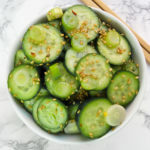 This sesame cucumber salad is very versatile. You can eat it as a side salad, add it to Buddha bowls or toss in some cooked shrimp or chicken for a complete meal. Wash and dry cucumbers and scallions. Thinly slice white portions of the scallions. In a large bowl, toss with sesame oil, rice vinegar and salt with cucumbers and scallions. I prefer using english cucumbers for this recipe. Add basil or cilantro for freshness. Add chili flakes for a bit of heat. Becuase this salad is dressed it only keeps for about a day.